Earlier this evening, I arrived home and was opening the gate leading to the short driveway in front of my house when I happened to look up at the eastern skies. Tell tale green, yellow and red lights were arching almost directly above my neighbor’s roof, the sound the lights were making hardly audible because of the din created by vehicles passing by on the road just in front of my house. My eyes instinctively followed the bright lights as they curved first northwards and then back east, knowing as I do from years of having lived here that the Air Force was doing night flying. The bright lights – I also knew from having been an Air Force brat myself – were probably a twin-engine T-41 trainer plane whose pilot was lining up to land briefly at the runway inside the Base just a kilometer or so away before taking off once again into the moonlit night as part of a training routine. Before long – and even whilst I walked the short distance to the front door – there was another set of bright lights tracing the exact same path of the earlier plane. I could not help but smile to myself. The lights – and the dull monotone of a sound that the plane’s engine made as it sailed across the night – transported me back to another era that is, otherwise, known as my youth. 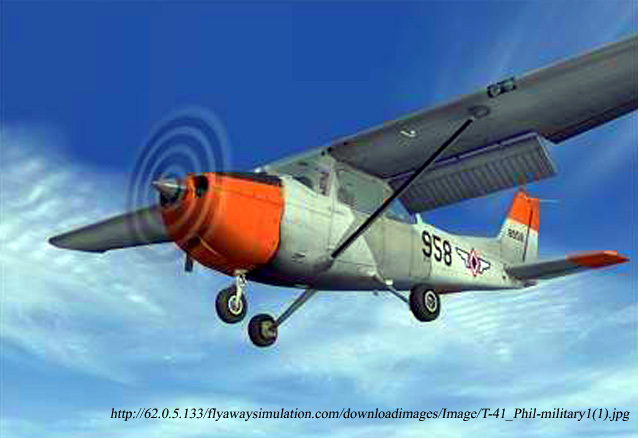 In the sixties when I was a little boy still living in the Base, my father flew this light Cessna trainer plane that he referred to as the L-5. It was a World War II vintage light plane with wings fixed above the fuselage that flew with so much gracefulness, not unlike a ballerina on the dance floor but instead as it sailed across the blue skies. My Dad could tell from the sound of its engine alone that an L-5 had come for a brief visit; and he would hastily don his overalls and drive the short distance to Base Operations to ask if he could take her up for some flying time. My Dad so love the L-5! As he went round and round above the Base in one of the loves of his life, I would be on the road outside our house waiting for the L-5 to pass close to where I stood, each time waving vigorously as it sailed above in the hope that he would look down and see me watching him. Of course, the permanent denizens of the Base when I was growing up were no less graceful but so much more notable for their power and aggression. It was typical to be roused from sleep as days broke by the sound of the majestic T-28s and their smaller siblings, the T-34s, being warmed up by the Air Force mechanics for use later in the day in training flights. In contrast to the dull drone of the T-41’s propeller engine, the roar of both the T-28’s and the T-34’s engines was frightening! The T-28, in particular, was like this elegant winged creature that, as it revved its engine up prior to take-off, would roar like a beast impatient to get up to where it would be in its element. Up in the skies where it belonged, it rode like an all-conquering emperor atop his mighty steed among the clouds with the backdrop of the deep blue sky. 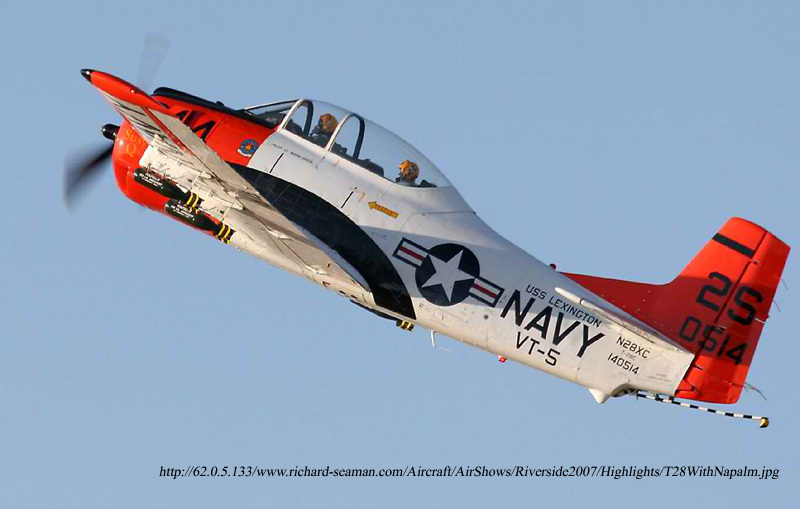 Flying in formation, a squadron of T-28s – or even a squadron of the smaller T-34s – was always a sight to behold! It used to be told because the Great War was no more than a couple of decades gone by, that when the Japanese planes flew into our cities with their dreams of conquest, our forebears left the comfort of their homes mystified by the loud roar of the planes’ engines as they flew overhead to crane their necks and stare up at the skies utterly awestruck by the sight of hundreds of planes flying in synchronicity. Regrettably, the majesty of the formation was soon exposed for its evil intent as it soon became apparent to all and sundry that the planes had not come in peace. Of course, by the time I was a little boy growing up in the Base, the planes flying in formation to regularly adorn the skies were already those of peace time. They were no less awesome! In time, the T-28s and T-34s that I used to gape at for hours on end as they sat on the tarmac in front of the main hangar or as they flew overhead either alone or in formation, would succumb to age as all who go through life are bound to one day face up to. These days, these once fearsome birds now stand for as long as they can withstand the elements adorning the gates of Air Force Bases across the country. Their successor, the T-41, like the L-5 has wings fixed above its body. I have never been awestruck by this gentle bird. It does not have the grace of the L-5; neither does it have the roar of the T-28 or the T-34. But the T-41 will always have a special place in my heart as the only light plane I have ever flown in during my entire life. 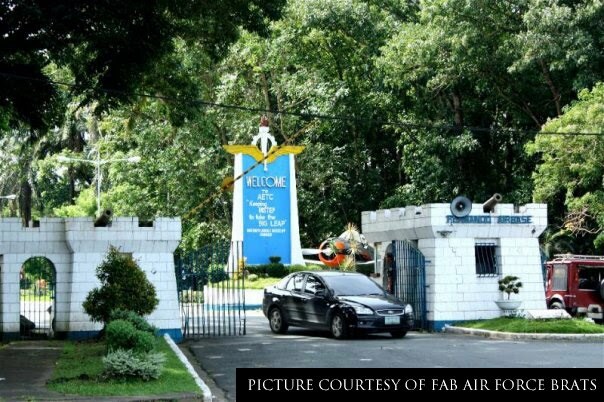 In the late sixties, I accompanied my Mother to see off Dad – who was due to fly out to the Edwin Andrews Air Force Base in Zamboanga City from the Villamor Air Base. Dad did not want us taking public transportation back home, so he asked a couple of Fernando-based pilots if we could hitch a ride back home with them on board the T-41 they had flown in. It was no more than a 30-minute flight back; but it was my first time to ride home with a vantage point that once I thought belonged only to birds and to God Himself. 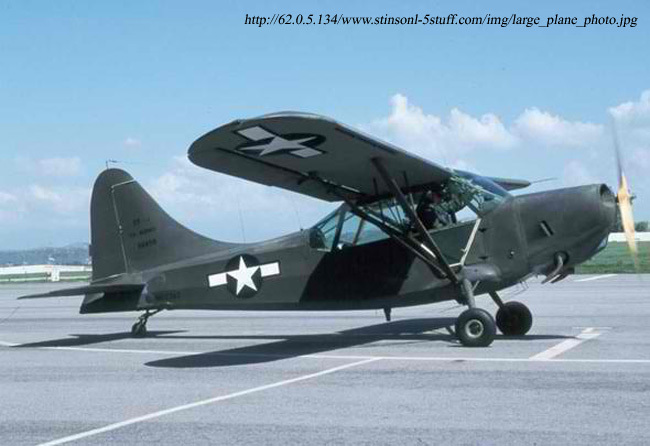 I used to dream about flying in the T-28 or even the T-34; but these were birds I could only stare at from a distance. The T-41s continue to fly above to this day; and if my guess is correct, that was one of them I saw earlier this evening. I could not help but smile at seeing its bright lights sail above because about forty years have passed since one of these birds brought me a dimension I had not previously experienced; and it continues to take me through this dimension that exists within memory cells inside my head that – like the T-41 – seems to have the capacity to withstand the passing of time.